The self-confidence of the warrior is not the self-confidence of the average man. The average man seeks certainty in the eyes of the onlooker and calls that self-confidence. The warrior seeks impeccability in his own eyes and calls that humbleness. The average man is hooked to his fellow men, while the warrior is hooked only to infinity. This entry was posted on Thursday, April 18th, 2019 at 9:26 am and is filed under Humor, Politics, Society. You can leave a response, or trackback from your own site. Traditionally politicians make a lot of promises. Equally traditionally, they make little to no effort to fulfill them after getting elected into office. That a politician’s campaign promises are worth less than the air it took for him to make them has long been held to be an incontrovertible truth. But then, this has been the stock and trade of career- and would-be career politicians – i.e., Establishment Politicians, at least at the federal level. It has absolutely nothing to do with President Trump. President Trump, in yet another example of his not being a normal politician, has done his best to fulfill each and every one of his campaign promises as quickly as possible, and he’s some large measure of success to-date in doing so to-date despite the judicial misconduct of certain judges. 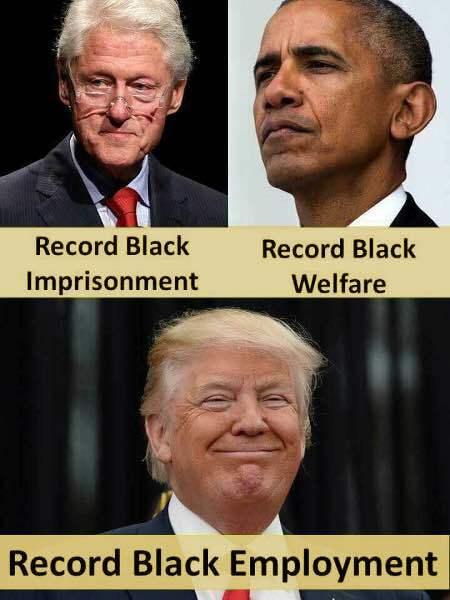 And this is exactly why the Democrats are so Hell-bent to destroy him. 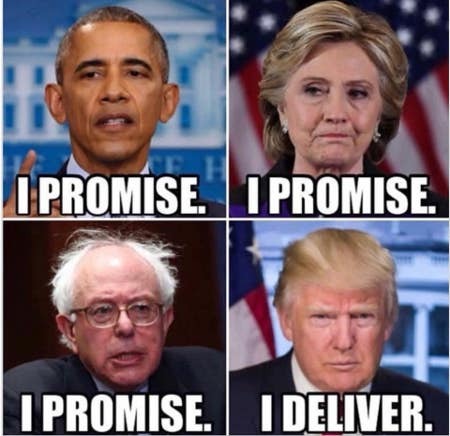 They can’t handle someone in office who plans to deliver what he promised to the American people. This entry was posted on Wednesday, January 23rd, 2019 at 12:09 pm and is filed under Politics. You can leave a response, or trackback from your own site. This entry was posted on Thursday, October 18th, 2018 at 6:51 am and is filed under 2016 Election, 2018 Elections, 2020 Elections, Politics. You can leave a response, or trackback from your own site. That being the case, unlike the traitors of the #NeverTrump mobs, I will form up and toe the line by voting for Mr. in the general election. Unlike them, I know that a vote not cast for Trump is essentially a vote for Hillary, much as Obama won the election partially because Americans chose not to vote for McCain and stayed home on election day whereas our domestic enemies gathered at the polls. 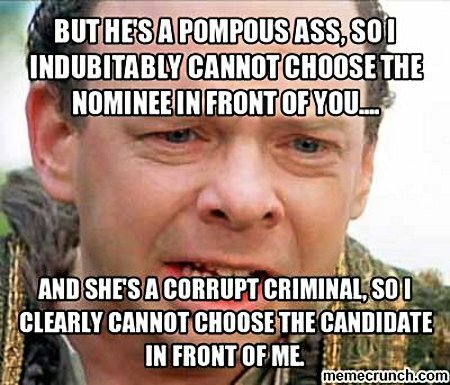 Still, the simple fact that we’re going to have a presidential election between Trump and Hillary was, until now, inconceivable. This entry was posted on Sunday, May 15th, 2016 at 7:35 am and is filed under 2016 Election, Humor, Politics. You can leave a response, or trackback from your own site.